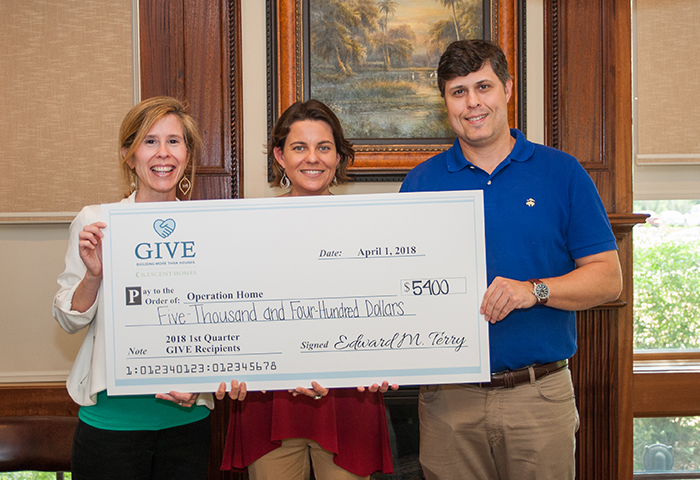 Since launching the GIVE Program in 2017, Crescent Homes has donated over $89,000 to local Charleston nonprofits. 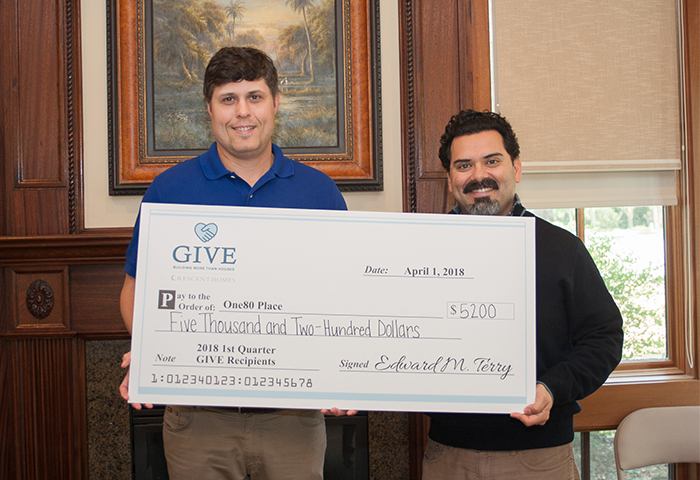 Ted Terry, CEO/Owner, presented checks to five local nonprofits on Friday, April 6th totaling $26,750, making the first quarter of 2018 the most successful quarter yet for the GIVE program. Through the GIVE Program, Crescent Homes donates $250 to a local nonprofit for every home sold. Five new local nonprofits are selected quarterly: homebuyers are provided information on each and have the opportunity to choose which one will receive a donation in their name. At the close of each quarter, Crescent Homes CEO and Owner Ted Terry presents a check to each group. The program allows Crescent Homes to spread awareness of these incredible organizations while making a positive financial impact on the local community. When I opened the doors of Crescent Homes, I envisioned a home building company that could make a positive impact on the lowcountry by building more than just houses. This first year of the GIVE program celebrates that mission by spreading aid, awareness and good will throughout Charleston. Since 2009, I have worked to create a business that values quality, beauty and a strong sense of community. I am honored to be able to give back to this welcoming place we call home. The local Charleston pet adoption center and veterinary clinic began as a simple “Adopt a Pet” column that ran weekly in 1978. 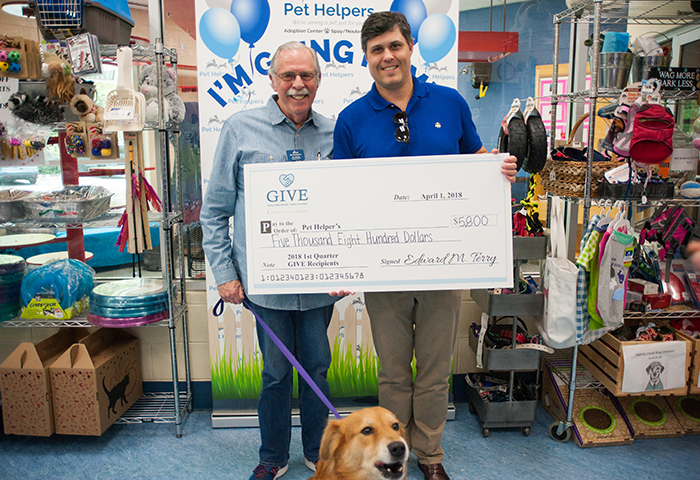 Forty years later, it remains the only facility of its kind, an independently owned, innovative pet rescue facility servicing the Lowcountry. This unique group aides military and veterans heal through eco-therapy by providing kayak fishing adventures. Recipients are able to establish a sense of reflective peace or find a welcoming community on the water, all the while learning a new skill that is both physically and mentally therapeutic. In 2018, Crescent Homes plans to open several new communities in the Charleston area, as well as continuing to expand our markets in Greenville and Nashville. 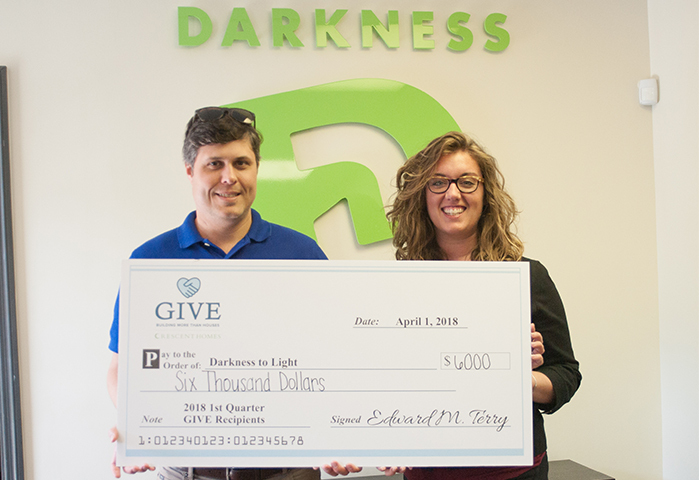 The company is honored to able to grow the GIVE Program and looks forward to larger donations in the future. GIVE embodies the company’s mission to go beyond the standard, bringing good will and a sense of community wherever Crescent Homes builds.